The Province of Santa Fe (Spanish: Provincia de Santa Fe, [ˈsanta ˈfe]) is a province of Argentina, located in the center-east of the country. 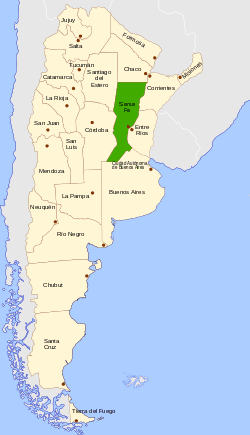 Neighboring provinces are from the north clockwise Chaco (divided by the 28th parallel south), Corrientes, Entre Ríos, Buenos Aires, Córdoba, and Santiago del Estero. Together with Córdoba and Entre Ríos, the province is part of the economico-political association known as the Center Region. Santa Fe's most important cities are Rosario (population 1,193,605), the capital Santa Fe (369,000), Rafaela (100,000), Villa Gobernador Gálvez (74,000), Venado Tuerto (69,000), Reconquista (66,000), and Santo Tomé (58,000). The aboriginal tribes who inhabited this region were the Tobas, Timbúes, Mocovíes, Pilagás, Guaycurúes, and Guaraníes. They were nomadic, lived from hunting, fishing and fruit recollection. 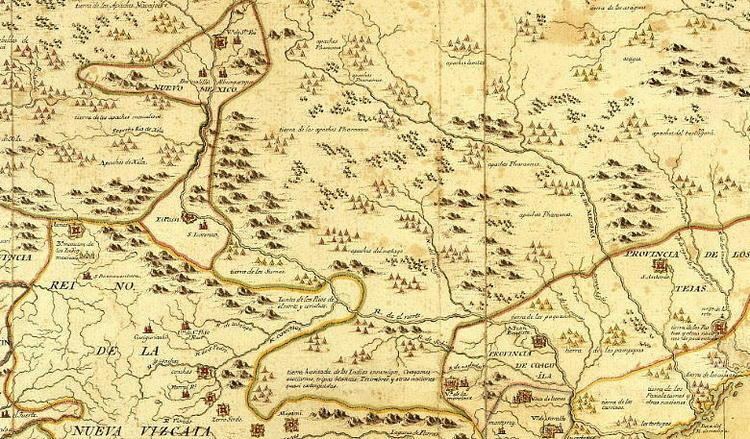 The first European settlement was established in 1527, at the confluence of the Paraná and Carcarañá rivers, when Sebastián Gaboto, on his way to the north, founded a fort named Sancti Spiritus, which was destroyed two years later by the natives. In 1573 Juan de Garay founded the city of Santa Fe in the surroundings of present town Cayastá, but the city was moved in 1651 and 1660 to its present location. In 1812 the lawyer and general Manuel Belgrano created and displayed for the first time the Argentine flag on the banks of the Paraná River, at Rosario (by that time a small village), 160 km (99 mi) south of Santa Fe. In 1815, while Alvear's central government felt due to Ignacio Álvarez Thomas' rebellion (at that time commander of an army sent to Santa Fe against Artigas), Francisco Candioti, the local militia chief, took over, peacefully, of government, thus starting the era of Santa Fe as an autonomous province. This period was short lived, since that same year Candioti died and central government reestablished the dependent government. However, in 1816, the caudillos Mariano Vera and Estanislao López deposed the governor delegate and proclaimed the sovereignty of the province and its membership into Artigas's Free Peoples League (Liga de Pueblos Libres). López drew, in 1818, a provincial constitution of a strongly conservative flavour, after rejecting a project proposed by a provincial assembly; Santa Fe was the first province to have its constitution. During the civil strifes of 1820, Santa Fe troops were decisive in the defeat of Buenos Aires' centralist army. So, in time, López gradually became the Federation's Patriarch, establishing himself as the central figure of the Federal Party until his death in 1838. After López's death it was his secretary and right hand, José María Cullen the one elected governor. However, being Cullen a potential rival of Buenos Aires governor and Confederation's Foreign Affairs Representative, Juan Manuel de Rosas, he sought and got Cullen's capture and execution, naming pro-Rosas Juan Pablo López as governor. The new governor maintained in power, alterning with Pascual Echagüe, until the province invasion by Justo José de Urquiza's Great Army in 1851, and during his term the province adopted a new constitution in 1841. 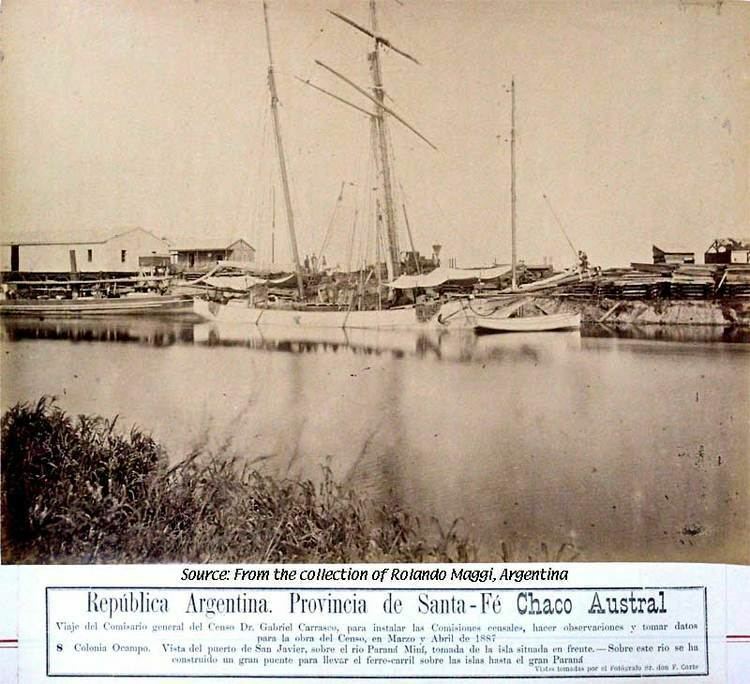 After the organization of the nation, the province entered an era of peace and prosperity; in 1872 the railways already connected many points of the province, as well as the telegraph lines, and in 1889 the Provincial University of Santa Fe was founded. The political hegemony of the conservative groups was challenged by the new ideas brought by the European immigrants gave birth to the Radical Civic Union (UCR) and the Progressive Democratic Party (PDP), and the creation of the Argentine Agrarian Federation. These two parties had many strong electoral contests with the province's conservative parties. After the Electoral Reform of Roque Sáenz Peña in 1912, the UCR reached the government and stayed until the coup of 1930. During this time, more precisely in 1919, the National University of the Littoral was founded. In 1932 it was the PDP who got the governor's seat. The contentious 1958 elections (from which Peronist candidates were barred) brought an ally of President-elect Arturo Frondizi to power in Santa Fe, Dr. Carlos Sylvestre Begnis. Gov. Begnis quickly steered budgets into sorely needed public works, most notably the construction of the Hernandarias Tunnel, a 10-mile (16 km)-long connection between the city of Santa Fe and neighboring Paraná. The tunnel, most of which runs under the massive Paraná River, is the longest in Argentina. Forced to resign after conservative pressure drove Pres. Frondizi from office in 1962, Begnis had the satisfaction of seeing Hernandarias open in 1969 and voters overwhelmingly return him to office in 1973 (this time, as a Peronist). Santa Fe suffered the violence of the late '70s and the depression of the 1980s more than most other provinces. It continued to languish economically during the prosperous 1990s, as the revalued Argentine peso put pressure on its productive sectors. Touching bottom around 2002, its economy has grown by 7% a year since then. The heart of Argentina's lucrative soy harvest, the province's importance has continued to grow, now rivaling Buenos Aires Province as the nation's leading agricultural producer, with Rosario as one of the most important ports in Argentina. Most of the province consists of green flatlands, part of the humid Pampas, bordering to the north with the Gran Chaco region. There are low sierras to the west. The north has higher temperatures, with an annual average of 19 °C (66 °F) and precipitations of up to 1,100 millimetres (43 in) in the east, decreasing towards the west, where there is a distinctive dry season during the winter. The south presents lower temperatures, averaging 14 °C (57 °F), and slightly less precipitations. Summers are hot and humid throughout the province, with average highs ranging from 30 °C (86F) in the south to 34 °C (93F) in the northwest corner, and night temperatures between 17 °C (63F) in the south and 21 °C (70F) in the north. Thunderstorms are common, and so are heat waves what can bring temperatures up to 40 °C (104F) and hot muggy nights. These are often interrupted by cold fronts that bring crisp, cool weather from the south. March brings cooler nights in the south, and April brings comfortable weather, with highs ranging from 22 °C (72F) in the south to 26 °C (79F) in the north, and lows from 10 °C (50F) to 15 °C (59F). Frost arrives in May in the south, where it occurs frequently until September; in the extreme north, frost is much more sporadic: some years might bring frosty May days, on other years it may come in July, but generally speaking there will always be a few frosty days every year even in the extreme north. Winter is drier in the west of the province and wetter in the east. In the south, temperatures range from 15 °C (59F) in the day to 4 °C (39F) at night, whereas in the north, from 21 °C (70F) to 9 °C (48F). Cold waves often bring temperatures of -5 °C (23F) in the south, with extremes of -8 °C (18F) recorded; further north, the thermometer descends occasionally to -2 °C (28F) and very rarely to -5 °C (23F). There are often short warm periods of up to 30 °C (86F) during the winter, followed by much colder weather with drizzle and temperatures around 6 °C (43F). Spring starts as soon as the end of August in the north, with very warm weather already present by early October; in the south, nights remain cool until most of November. Generally speaking, spring is unpredictable, with heat waves followed by extended periods of cool weather, as well as dry spells followed by severe thunderstorms. Rainfall ranges from 1,200 mm (47 in) in the northeast to 800 mm (31 in) in the southwest and extreme northwest. Snowfall is unprecedented in the northern two thirds of the province, and very rare in the south, where the last occurrence was in 2007 with several centimeters accumulated. This humid, temperate climate explains why Central and Southern Santa Fe are among the nation's richest agricultural regions, with crops such as maize and soybeans popular, and a very well developed dairy industry. The main river, and connection to open sea through the Río de la Plata is the Paraná River. There are also other tributaries to the Paraná including the Salado del Norte, the Carcarañá and the Arroyo del Medio. The plain lands tend to be flooded after heavy rains due to the growth of the Paraná and Salado rivers. In 2003 a rapid rise of the Salado produced a catastrophic flood of the capital and many communities in the north-center of the province, prompting the evacuation of no fewer than 100,000 people and major economic losses. In 2007, several days of heavy rainfall flooded more than 60 towns in the center and south of the province, including sections of Santa Fe and Rosario, causing tens of thousands of people to be evacuated, crop losses, and widespread damage to the physical infrastructure of the area. Santa Fe's economy is the fourth most important in the country, having been displaced from third place by neighboring Córdoba Province around 1970. Accounting for 8% of the Argentine total, its output was estimated at US$27 billion in 2006 (which shall be around US$43 billion in 2011 according to Argentina's economical growing), or, US$9,000 per capita (around US$13,000 in 2011), somewhat above the national average. Though the economy is well-diversified, agriculture continues to play an indispensable role through its profitability and foreign exchange earnings via exports. Twenty-one percent of the cultivated lands of Argentina are in Santa Fe, whose main crops are soybean (main national producer), sunflower, maize, wheat, and rice. In smaller scale strawberry, honey and derivatives (300,000 beehives), wood, and cotton are produced. The green grass of the province is ideal for the 6.5 million heads of cattle (20% of national stock), which is not only source of meat but of 2.6 billion of litres of milk per year (40% of the national production), which is processed by over 5,000 dairies. The ports between Rosario and San Lorenzo are departure points for the export of the production of the Santa Fe and many other provinces; through them leave 65% of the Argentine cereal and 55% of the country's exports. In 2004, Santa Fe's exports (7,170 million USD) accounted for 21% of the national total. Between 2001 and 2004 they increased 65.2%. Derivates of soybean, flours and vegetable oils comprised over 2 billion USD and over 7.6 million tonnes. In 2005 the ports of southern Santa Fe shipped 60% of the grains, 93% of the agricultural subproducts and 85% of the vegetable oils exported by Argentina. Manufacturing in Santa Fe represents 18% of its economy and is also among the top in Argentina. Mills that produce different flours and oils, beer, and other food industries, leather and textiles, hydrocarbon refineries, steel (1 million tonnes a year) and metals production, industrial and agricultural machines, car industry and others. The services sector is well-developed and very diversified, relying little on tourism or the public sector. Tourism is not an important activity in spite of the wide range of hotels and restaurants. Rosario, home to the National Flag Memorial (Monumento Nacional a la Bandera) and a number of museums, receives a number of visitors from Argentina. The replica of the Sancti Spiritus Fort, the ruins of Cayastá and the city of Santa Fe are also common destinations. The provincial government is divided in the usual three branches: the executive, headed by a governor, popularly elected for non-reelegible four-year terms, who appoint the cabinet; the legislative, formed by a bicameral legislature (a 50-member Chamber of Deputies and a 19-member Senate, all elected for four-year terms); and the judiciary, headed by the Supreme Court and completed by several inferior tribunals. From 1991, the executive and legislative officials were elected in single-round elections by a controversial system known as the Ley de Lemas. This system was abolished in 2004; the new one includes compulsory primary elections, which were held for the first time in August 2005, with good results according to most analysis. The parliamentary elections of 23 October 2005 were the first main elections to be held after the abolition of the Ley de Lemas. The origin of the population is majority European, descended from the great wave of immigration from 1850-1950, being Italians (mainly from Piedmont), Spanish, Swiss and Germans the main ethnic groups in the province. 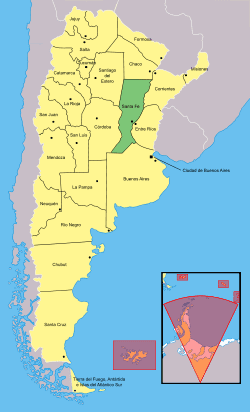 Since 1970, Rosario has been chosen by internal migrants, mainly from the north of Santa Fe and the northern provinces. A smaller minority of the population (20%) are Mestizos and an even lesser number (2-4%) are of full Amerindian descent. The province is divided into 19 departments (in Spanish, departamentos), and the departments are divided in districts which can be organized as communes or municipalities. The communes are smaller towns, generally administered by a local commission led by a "communal president". The municipalities, which must have more than 10,000 inhabitants, are what is commonly called "cities". Municipalities have an executive officer (a mayor, called intendente) and a legislative body (called Concejo Municipal, a deliberative council). For administrative purposes, each department has a head town (cabecera), which may be either kind of district. | Estanislao López Iconic figure in Santa Fe and one of the most influential political actors in the Argentine. | Lionel Messi The best football player in the world and regarded as the greatest of all time. Messi only player in history to win five Ballon d'Or. | Carlos Monzon The best middleweights in history but also one of the greatest boxers of all time. 1972 Fighter of the Year. | Luciana Aymar The best female hockey player of all time. Aymar has won FIH Player of the Year Awards a record eight times between 2001 and 2013. | Ernesto Guevara Political leader and revolutionary. A major figure of the Cuban Revolution and global insignia in popular culture. | Carlos Thompson Argentine actor in Hollywoood. His Hollywood films include Flame and the Flesh (1954) with Lana Turner. | Linda Cristal Argentine actress in Hollywood. She won Golden Globe Award for Best Actress – Television Series Drama in 1969. | Mirtha Legrand Argentine actress and television presenter. With a 72-year career, Legrand is one of the most popular entertainment figures in Argentina. | Valeria Mazza The first Latin American supermodel and is considered the most important fashion model in Argentine history. | Leon Gieco Called "The Argentine Bob Dylan". Considered one of the most important singers of his country and Latin America. | Horacio Pagani The Argentine founder of Pagani Automobili S.p.A., an Italian specialty auto-maker. | Rogelio Pfirter Director General of OPCW from 2002 to 2010. OPCW Nobel Peace Prize in 2013. | Fernando Birri The father of the new Latin American cinema. | Roberto Fontanarrosa The most acclaimed historieta artists of his country. | Juan José Saer One of the most important Argentine novelists. | Ariel Ramírez Considered "a chief exponent of Argentine folk music" and noted for his "iconic" musical compositions. | Jorge Sampaoli Argentine football manager. Head coach Argentina national football team. | Luciano De Cecco Argentine volleyball player. Best Setter argentine but also one best setter in the world. | Darío Grandinetti Argentine actor. Emmy-winning actor. He worked in film the Academy Award winner Talk to Her. | Marcos Mundstock Argentine actor. A founding member of Les Luthiers. Les Luthiers 2017 Princess of Asturias Award for Communications and Humanities. | Norman Briski Argentine theatre actor, director and playwright, as well as a noted cinema and television actor. | Alberto Olmedo Argentine actor and notable television comedians. | Alejandro Fantino Alejandro is an Argentine TV host and media producer. He is one of the most iconic figures in Argentina's television. | Soledad Pastorutti Argentine folk singer, who brought the genre to the younger generations at the end of the 20th century. | Horacio Guarany Horacio was one of the main Argentine folklore singers, and a writer. | Coti Sorokin Singer-songwriter, best known for collaborations with Andrés Calamaro, Julieta Venegas, Paulina Rubio, and Enrique Iglesias. | Fito Páez Singer-songwriter. "El Amor Después del Amor" is the most sold album in the history of Argentine music. | Los Palmeras Argentine cumbia band. 2015 Platinum Konex Award. | Raúl Lavié Singer-songwriter, is an Argentine entertainer prominent in the Tango genre. | Juan Carlos Baglietto Singer-songwriter. He is one of the iconic figures of the musical movement called Trova Rosarina. | Litto Nebbia Singer-songwriter and producer prominent in the development of Argentine rock. | Ángel Di María Football player. 2014 UEFA Champions League Final: Man of the Match. 2014 FIFA World Cup: Dream Team. | Sebastián Battaglia Football player. The most successful player in Boca Juniors history, with 18 championships. | Leopoldo Luque Football player. Copa América Top Scorer: 1975. With Argentina he was 1978 World Champion. | Maxi Rodríguez Football player. FIFA U-20 World Cup: 2001. FIFA World Cup Goal of the Tournament: 2006. | Ezequiel Lavezzi Football player. Summer Olympics Gold Medal: 2008. | Éver Banega Football player. Summer Olympics Gold Medal: 2008. 2015 UEFA Europa League Final: Man of the Match. | Cesar Delgado Football player. Summer Olympics Gold Medal: 2004. FIFA Club World Cup top scorer : 2012,2013. | Luciano Figueroa Football player. Summer Olympics Gold Medal: 2004. Primera División Top Scorer: 2003 Clausura. | Lucas Alario Football player. Winner Copa Libertadores: 2015. | Javier Mascherano Football player. Toulon Tournament Best Player: 2003. Summer Olympics Gold Medal: 2004 and 2008. | Gabriel Batistuta Football player. Fiorentina all-time Top Scorer. Serie A Top Scorer: 1994–95. Copa América Top Scorer: 1991 and 1995. | César Luis Menotti Football coach. 1978 FIFA World Cup Winning Manager. | Marcelo Bielsa Football coach. 2004 Summer Olympics Gold Medal Winning Manager. South American Coach of the Year: 2009. | Edgardo Bauza Football coach. 2008 and 2014 Copa Libertadores Winning Manager. South American Coach of the Year: 2008. | Gerardo Martino Football coach. South American Coach of the Year: 2007. | Juan Antonio Pizzi Football coach and ex player. Pichichi Trophy: 1995–96. 2016 Copa América Winning Manager. | Marcos Maidana Professional boxer. Upset of the Year 2013. Floyd Mayweather Jr. vs. Marcos Maidana, billed as "The Moment". | Carlos Baldomir Professional boxer. Upset of the Year 2006. WBC International welterweight champion in two times. | Julio César Vásquez Professional boxer. Knockout of the Year 1995. WBA Light Middleweight Champion in two times. | Juan Martín Coggi Professional boxer. Nickname "El Látigo" (The Whip). WBA Light Welterweight Champion in three times. | Andrés Nocioni Professional basketball player. Player in NBA. ACB Most Valuable Player Award (2004). EuroLeague Final Four MVP (2015). All-Tournament Team in 2015 FIBA Americas Championship. | Walter Herrmann Professional basketball player. Player in NBA. ACB Most Valuable Player Award (2003). NBA All-Rookie Second Team (2007). | Carlos Delfino Professional basketball player. Player in NBA. Third place individual points, steals and minutes leader in 2010 FIBA World Championship. | Nicolas Brussino Professional basketball player. Player in NBA. 2015 Award revelation Clarín. All-Tournament Team in 2017 FIBA AmeriCup. | Hugo Sconochini Professional basketball player. 2004 Summer Olympic Games Gold medal in Athens. | Tayavek Gallizzi Professional basketball player. Top winner of the tournament of Slam Dunk by Liga Nacional de Básquet on three occasions. | Germán Chiaraviglio Argentine pole vaulter. The winner in the men's pole vault event at the 2006 World Junior Championships. | Santiago Grassi Argentine swimmer. He won the silver medal in the men's 100 metre butterfly event at the 2015 Pan American Games. | Rubén Rézola Argentine sprint canoeist. He won the gold medal in the men's kayak doubles (200 m) at the 2015 Pan American Games. | Sebastián Porto Argentine professional Grand Prix motorcycle road racer. 250 cc motorcycle European Champion 1996. | Guillermo Coria Professional tennis player. He reached a career-high Association of Tennis Professionals (ATP) world No.3 singles ranking on May 3, 2004. | Juan Imhoff Rugby union footballer is the player who scored more tries in the history of Rugby World Cup for Argentina (7). | Juan Carlos Zabala Argentine athlete. Called "El Ñandú Criollo". Winner of the marathon race at the 1932 Summer Olympics. | Carlos Reutemann Nicknamed "Lole", is an Argentine former racing driver who raced in Formula One and governor of Santa Fe in Argentina. | Sergio Rubin Argentine journalist and writer. He wrote El jesuita, the first and only biography of Jorge Bergoglio before his election as Pope Francis. | Osvaldo Bayer Argentine journalist and writer. He is the author of the scenario of the film Rebellion in Patagonia and The Girlfriend (film). | Liliana Bodoc Argentinian writer of fantasy. La Saga de los Confines a series of three fantasy novels. | Esteban Laureano Maradona Country doctor, naturalist, writer, and philanthropist. He also worked with indigenous communities on humanitarian. | José Pedroni Argentine poet. It has always been considered the highest literary figure of the city of Santa Fe Esperanza. | Gastón Gori Argentine essayist and poet. 1990 Award of Honor of the Sade. | Francisco Urondo Argentine writer and member of the Montoneros guerrilla organization. | Ricardo Supisiche Argentine painter and engraver. Supisiche's works earned him numerous awards. | Estanislao Zeballos Argentine lawyer and politician. He wrote on a broad range of subjects in books and periodicals. | Lisandro de la Torre Argentine politician. His thesis about municipalities and communes, to the idea of municipal autonomy in Argentina.